Your Source for Safe, Secure & Convenient Self-Storage in the Caboolture Area north of Brisbane. 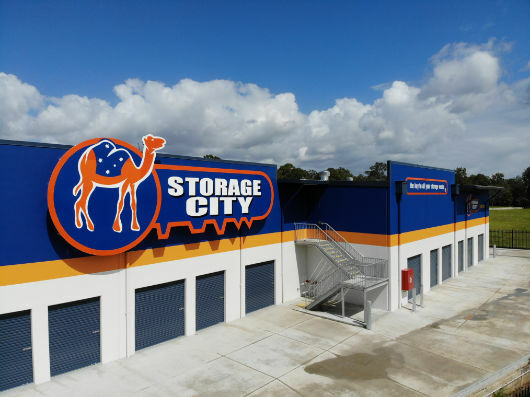 Storage City is an Australian-owned business that services the needs of commercial and domestic storage customers looking for self-storage in North Lakes, Caboolture, and Morayfield and a host of other communities in North Brisbane. We understand the importance of convenience when choosing a storage location, and we also understand the value that you place in the safety and protection of your goods. Our clean and modern facilities are located within easy reach of more than a dozen neighbouring suburbs, and we take pride in the security features we’ve built in to our facilities, including individual PIN-code access and 24-hour closed-circuit TV using a 32-channel digital video recording system. We offer a selection of storage unit sizes to suit specific needs, with easy-to-access, wide entrances that enable customers to move items in and out effortlessly. In order to simplify your self-storage experience, we also offer add-ons such as insurance and can provide locks, packaging materials, trolleys, forklifts, and even a trailer to assist with moving into your storage space. Friendly staff await your call to discuss your storage needs. Contact us now! We’re located at the corner of Beachmere rd and Bribie Island Road just off the Bruce Highway.